Dogtopia, the award winning North American dog daycare franchise and recipient of Inc. 500/5000 List of America’s Fastest Growing Companies and Entrepreneur’s Franchise 500, continues to follow its aggressive growth strategy to open 40 more locations across Canada in the next 7-8 years. Dogtopia recently opened the doors to their first Canadian Franchise location in Coquitlam, B.C. and has quickly followed up by opening in both Calgary and Mississauga markets in March 2015. 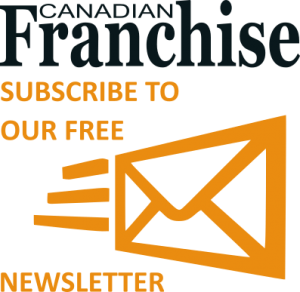 Leading Dogtopia’s move to Canada is franchise industry expert and Dogtopia Chairman, Peter Thomas, who previously built the Century 21 franchise system in Canada. Peter quickly recognized that Canadians are spending more than ever on their pets, yet there was a lack of daycare options with a standardized set of quality and safety regulations put in place. Dogtopia is now positioned to become the leading dog daycare franchise in North America. The brand launched a very aggressive growth initiative to rapidly grow its footprint to more than 400 locations in the U.S. and Canada over the next seven years. Dogtopia’s expansion into Canada comes as a response to strong year-over-year growth of the non-medical pet services industry. According to the Canadian Pet Market Outlook 2014 Report, 57 percent of Canadian households currently own a pet, equating to roughly 7.5 million households. Canadian pet spending in 2013 reached up to $6.6 billion, a figure that has been rising steadily and is expected to reach as much as $8.3 billion per year by 2018.